Since you have diligently fired your head coach Guy Carbonneau and took his place behind the bench, the Montreal Canadiens have managed to win a single game on the five games played. Your team have lost to atrocious teams since you made your bold move to send Carbonneau away from the Canadiens bench. The pitiful Islanders, Martin Brodeur and the Devils, an important match with the Rangers, and the weak Ottawa Senators have claimed victory on your team. The same problems and the same weaknesses that you noted about your team when you were asked to comment on Carbonneau's firing are not only still there, they are now amplified. Guy Carbonneau was loved and respected by the team's fans and many of them, including myself, are still angry about it. The way the team has been playing since your decision is good enough to prove that Carbonneau was not the problem with your team. To your own displeasure, I will mention the names of two players on your roster that are playing exceptionally well these days: Maxim Lapierre and Guillaume Latendresse. Yes, two french-canadian players. Two of the last five that are still on your team. The Montreal Canadiens' legend was built on french-canadian players during the last one hundred years. In fact, the team has not won a Stanley Cup in ages without at least eleven of those frenchies in the team's roster. So how could you ignore that fact Mr Gainey? Why did you let the number of french-canadians drop that much over the years? Mr Gainey, the number of french-canadians with the Montreal Canadiens was reduced dramatically during your reign as General Manager. Your decisions during those years were made in order to reduce the number of frenchies with the team. You even ignored great local talent to draft Europeans during the last three or four NHL entry drafts. Mr Gainey, to ignore the french fact with the Montreal Canadiens is your fatal mistake that you will have to debrief once your will be fired. We, the fans, are hoping that this date is getting closer. 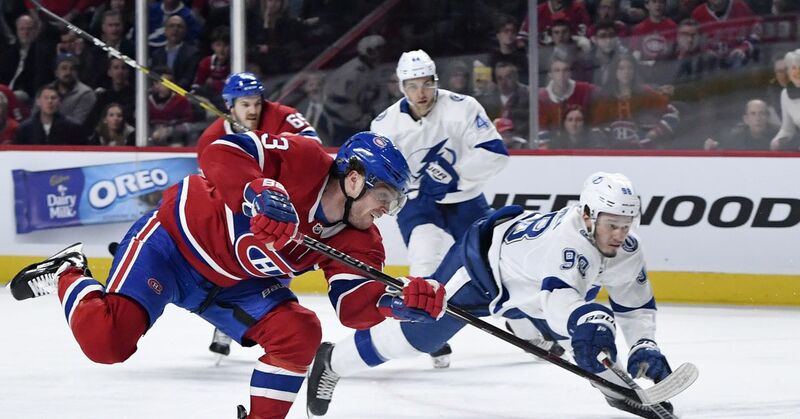 Sunday Links & Open thread: Could the Canadiens have knocked off the Lightning?